I’ll start this “blog” out by saying “ok wow” because I’d thought that Montero would have gotten lost deep into the abyss coming into the 2017 season. Well, it’s not like he’s exactly fighting for that number 5 spot in the rotation to start the season off till the Mets feel Wheeler is ready to join his bredren on the bump once every 5 days. However, that doesn’t mean Montero couldn’t be knee deep in a fight to restore his reputation & possibly even his trade value for the sake of his own career at this point. So far this spring, Montero has logged in 13.1 innings with a 2.70 ERA & a very encouraging 20 strike outs throughout that span. Montero last pitched on Sunday afternoon against the Marlins & put in 2 innings, giving up 2 hits while striking out 3 & walking none. While it’s beneficial for Montero as he continues to pitch well this spring, management surly understands the difference between pitching in Spring Training & pitching against a set 25 man roster. However it’s good to see that he can pitch out of the bullpen even though the talent level he’s facing might not be as polished. Montero likely did luck out some on the mound as he saw a lot more minor leaguers & AAAA players than a pitcher would normally see during the 162 game regular season. Montero has a 3.24 ERA in exactly 50 career innings pitched when it comes to Spring Training. Based on those numbers alone, I would think every team would love to have Montero fighting for the fifth spot. However, in 73.1 career regular season innings pitched, Montero sports a pretty bloated 5.15 ERA with an unattractive 1.64 WHIP while owning a 1-5 record. That would explain why he’s still on the Mets as rumors were circulating last week that Alderson couldn’t give Montero away this offseason, suggesting that Alderson was not at all pleased by what teams were willing to part with in return for the 26 year old pitcher. As every fan knows by now, the rotation is never safe when it comes to injuries & it’s probably more important to hang onto pitching that you project to be valuable in the long run. So if the return is not what Sandy feels is a good or fair exchange, it hurts the Mets 0% to keep Montero until the organization feels the next prospect is ready to take the leap to the majors & needs to be put on the 40 man roster. Montero’s future with the Mets is an uncertain one, to say the least. 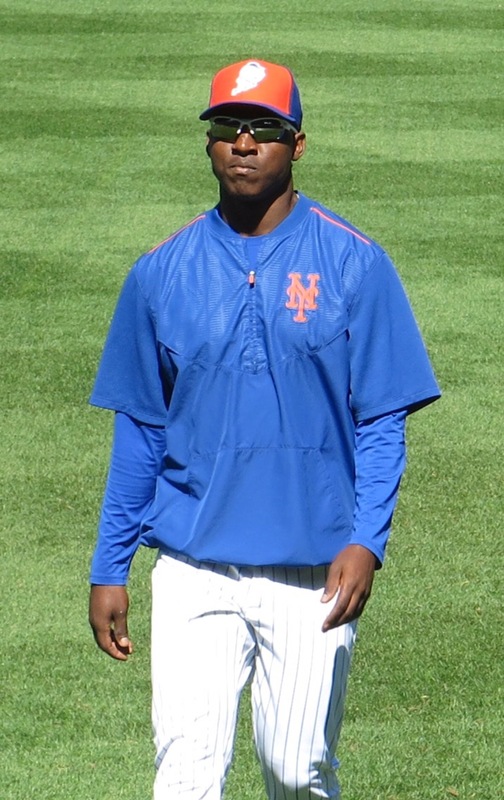 However, what I can tell you is certain is that Montero has pitched very well this spring & that has earned him the opportunity at being our #MetsCrushMonday this week. Have a great week everybody & like always… Let’s go Mets! !